Vinyl Fascia protects the fascia board from the elements. Fascia runs horizontally across the front of the house directly underneath the eave. Can be cut down to fit various structure heights. Protects from water infiltration and improves the beauty of your home. Protects the fascia board against the elements. The 10 inch Perforated Woodgrain Double 5 inch Soffit gives your home a finished look and virtually eliminates maintenance in those hard-to-reach areas, like under the eaves and over porches. 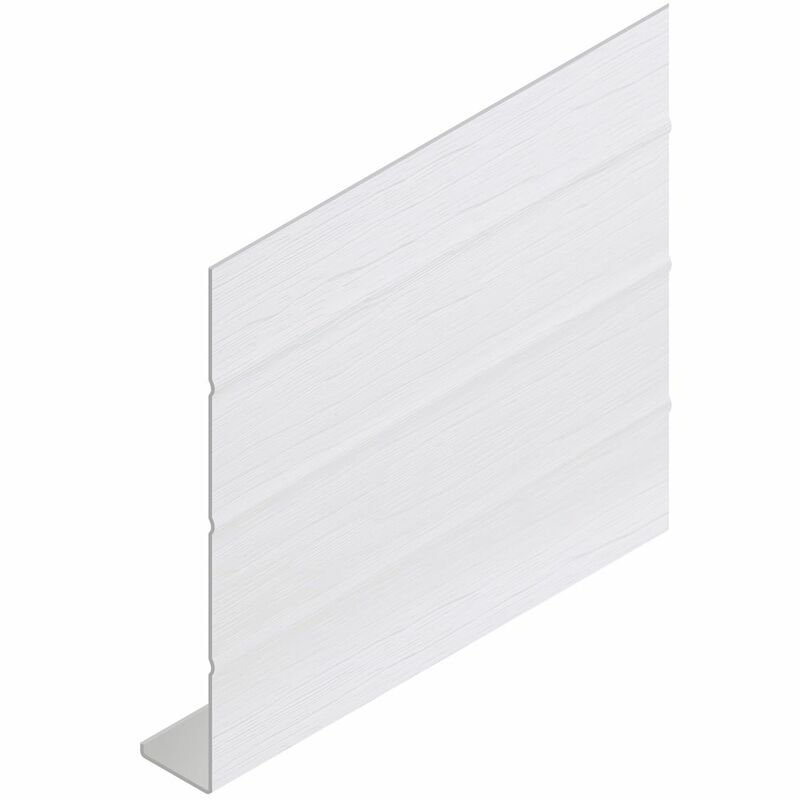 The Solid Vertical Siding D5 Soffit is designed for porch, celing and soffit application. F-trim with a inch wide channel,used at the top of the wall and on the bottom of the fascia board to insert soffit. Vinyl Fascia Almond (pc) Vinyl Fascia protects the fascia board from the elements. Fascia runs horizontally across the front of the house directly underneath the eave.